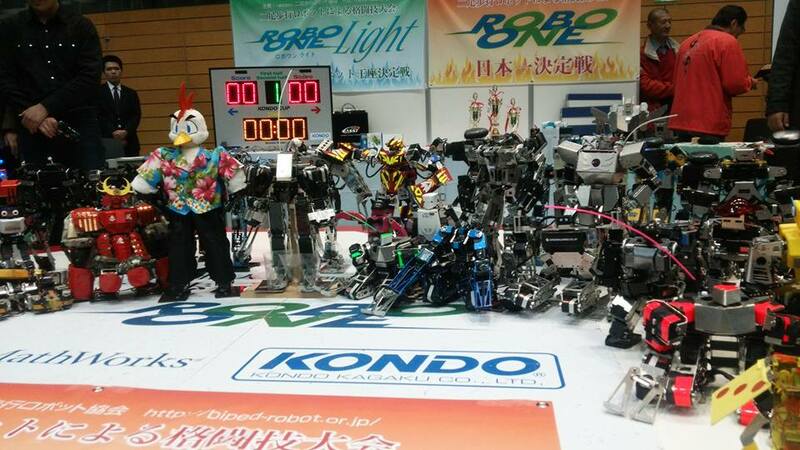 ROBO-ONE 28th sponsored by Biped Robot Association, took place at TSUKUBA CAPIO in Tsukuba City, Ibaragi Pref. on Feb 13th and 14th, 2016. 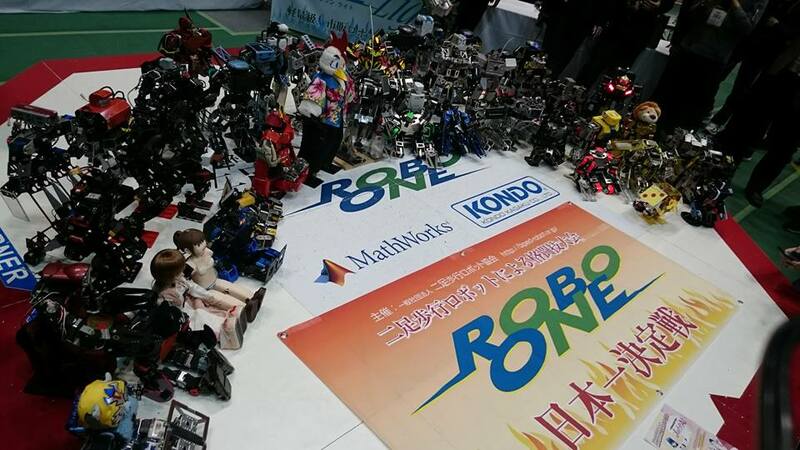 ROBO-ONE Light 12th took place on Feb 13th, 4.5m Footrace took place as the preliminary ROBO-ONE Tournament on Feb 13th and the main event ROBO-ONE 28th Final Tournament took place on Feb 14th. The major regulation was the weight of robot, which was 3 kg or under 3 kg. Details of the body regulation were almost the same as those of the 27th. 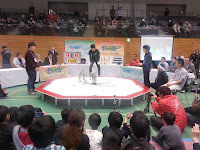 Side punch has been prohibited since ROBO-ONE 23rd Tournament in the robot fight. 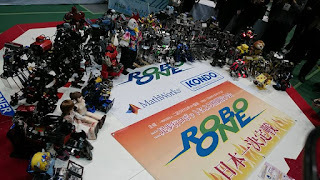 ROBO-ONE 28th was held as the tournament with 49 robots, 45 upper place robots in the preliminary 4.5 m Footrace including winners of the local robot competitions or honor robots. One hundred and Twenty robots joined the competition. Four meters and 50 cm Footrace was carried out as the preliminary competition to select 49 robots and to decide the tournament order. 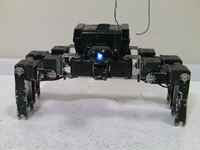 Robots had to walk 4.5 m course with 90 cm width within 1 minute. In the 28th, thin rubbers under 2 mm was pasted on the board in the course. Each robot time record taken 4.5 m walk, or the distance from start point if robot could not walk within 1 minute, or robot fell down from the course was recorded. Each robot tried just one time Footrace. The 4.5 m course pasted with thin rubbers in the course, seemed to be not flat. Therefore, it was not easy to walk through 4.5 m course for most of robots. All robots walked the course within 30 seconds, passed the preliminary competition. The result of the preliminary 4.5 m Footrace is here. The 1st place was Frosty by 3.79 seconds, the 2nd place was HAUSER by 9.65 seconds and the 3rd place was Lio by 10.01 seconds. Just 66 robots could reach the goal within 1 minute. Upper 20 robots were under 20 seconds, the 21st to 45th place robots were under 30 seconds and the 45th could join final fight by 29.48 seconds. Sanzai-san also reported results (in Japanese). The tournament winner was Gargoyle KID by Yoshida Familia. The 2nd place was Leghorn by Nakayan. The 3rd place was Chromkid by Kupapa. The winner Gargoyle IKD has semi-autonomous attack system. Result of the tournament is here. 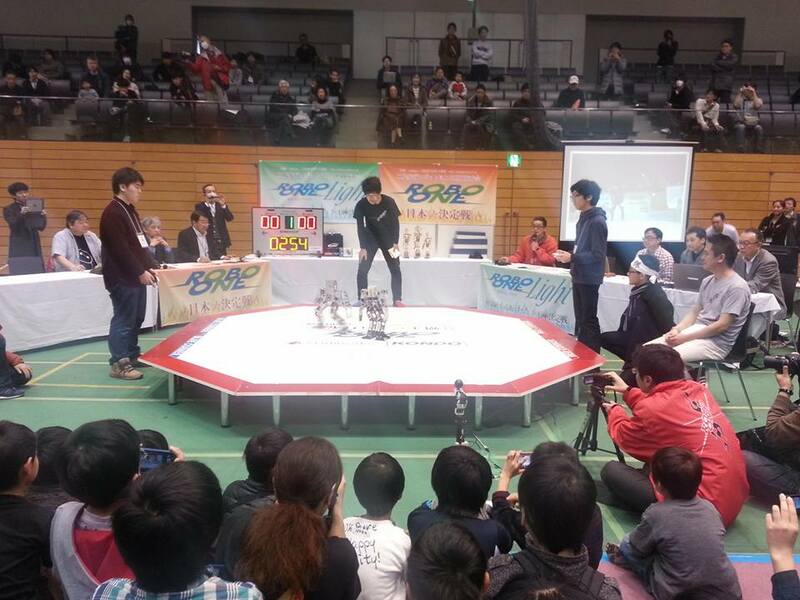 All videos of ROBO-ONE 27th tournament were uploaded to Youtube ROBO-ONE Channel by Biped Robot Association. Sanzai-san also reported the details of results. The winner was Gargoyle KID. The 3rd place was Chromkid. 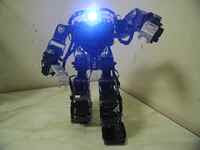 ROBO-ONE (3 kg or Under) of 15th on May 4, 2009 , 17th on March 21, 2011, 19th on Oct 9, 2011, 20th on March 25, 2012, 21st on Sep 2, 2012, 23rd on Sep 14-15, 2013 , 24th on Feb 15-16, 2014 , 25th on Sep 13-14, 2014 , 26th on Mar 14-15, 2015 and 27th Sep 26-27, 2015 on were also described in this blog.